If you sell on eBay, Stamps.com allows you to easily print USPS shipping labels for all mail classes including First Class Package International Service. Once your eBay account is connected to Stamps.com, the software will import your eBay orders with one click. You can even import orders from multiple eBay stores into one interface, batch printing all of your sales. 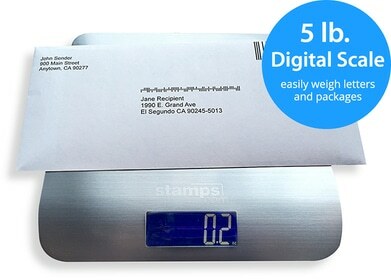 After a shipping label has been printed, Stamps.com will automatically post order details including USPS Tracking number, shipping date and mail class back to your eBay account. New for 2018! Stamps.com fully supports eBay Guaranteed Delivery (EGD) Door‑to‑Door.